Spool with approx. 330m of electrically conductive sewing thread. 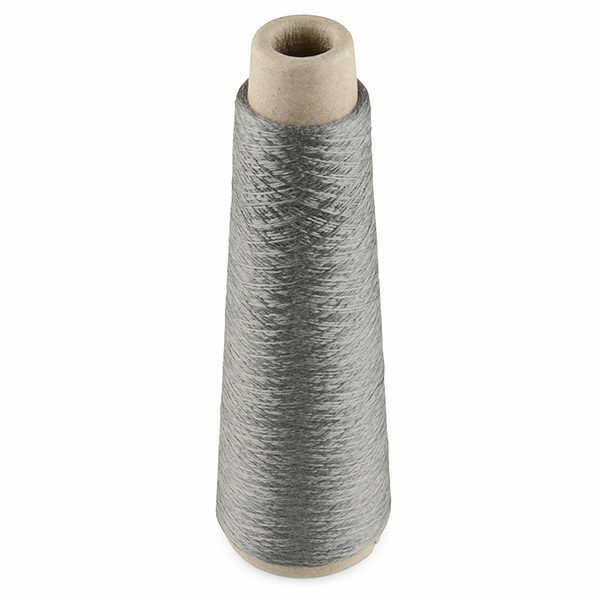 The thread consists of thin, spun stainless steel fibres. The thread is easier to solder than our other conductive thread, but is not recommended for machine sewing as it’s “hairy” and can cause shorts.